If you are considering a set of new windows and doors, then you will be keen to research what type of material you will want to install; from UPVC to aluminium there are many to choose from, each carrying its own advantage. At Archway Joinery we specialise in the bespoke craft of wooden doors, mainly timber. Here are some of our key reasons as to why you should install wooden doors and windows in your home. Timber is a natural insulator. A great benefit of wooden doors is the energy costs you save when heating or cooling your home or business. Unlike aluminium or other materials which transfer heat ultra-efficiently and are like insulation in reverse, timber helps your home stay cooler in the summer, yet warmer in the winter. As a natural product it has existed and been used for construction within harsh environments for centuries. This makes it a very stable and reliable material for building works which includes windows and doors. This durability does come at a cost however, namely lots and lots of painting to ensure wood rot doesn’t set-in and reduce the overall life span of the timber. 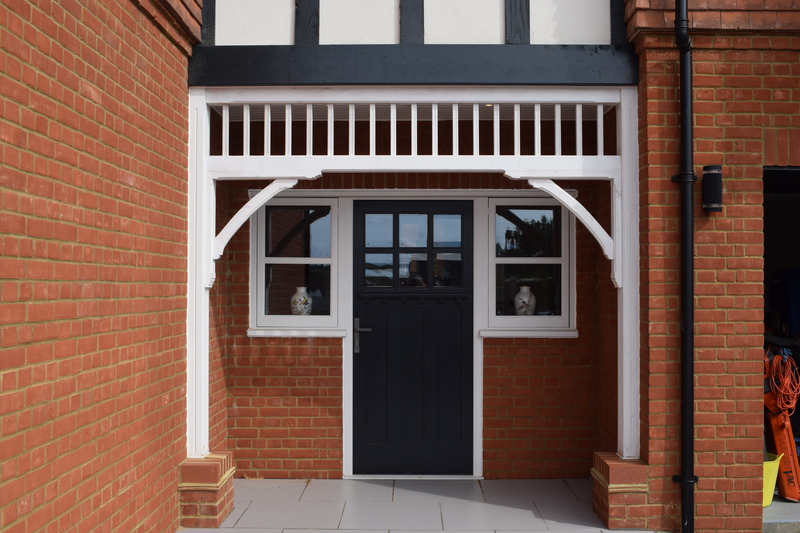 Timber tends to last a long time; a timber door can also be easily repaired – even if it sustains structural damage. When an aluminium door goes bad, it will usually need to be replaced. Timber doors will usually last as long as your home. Timber is a sustainable resource. Did you know that timber has a reverse carbon footprint? It stores more carbon and releases oxygen. In addition to this timber products tend to last a lot longer, since timber is a natural product it doesn’t take a lot of energy or cause a lot of environmental impact to turn into useable building materials. So, when you install a set of timber windows and doors you can do so in the knowledge that you are doing your part for the environment. At Archway Joinery we take this issue seriously and that’s why all our timber frames are sourced from environmentally sustainable sources. What Is Joinery?Why Install A Conservatory?